The developers can also programmatically generate the Word Document by using VB code then embed the MS Word document in a form. Not like other word read write component, Edraw office viewer component works with the full Microsoft Word program features. Almost all of the tasks which we perform on word can be done programmatically like Inserting Table of Contents, Linking documents, Mail Merge, Inserting Documents, Embedding documents, inserting pictures, watermark... etc. 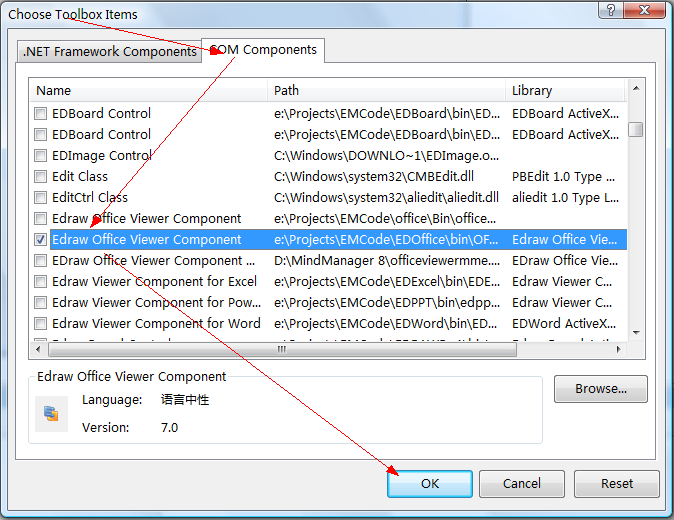 If you are not familiar in embedding Edraw office component in Visual Bisic, you can refer to the following article firstly. Starting off, the first step is to include the Word object references to the Solution. This can be done by right clicking the Reference Folder in the Solution explorer of the project and select Add Reference. Browse Through the available COM objects and Select Microsoft Office 11.0 Object Library & Microsoft Word 11.0 Object Library. This Word DLL has all the methods which we do to perform the word automation. Add Edraw Office Viewer Component in a Visual Basic Form. 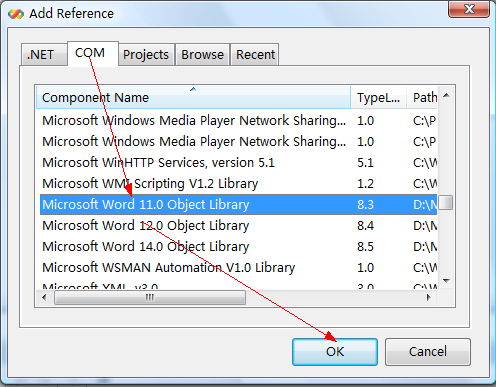 The key point is how to build the relationship between the Edraw office component and the Microsoft Word Object Module. In fact, the component provides two methods which return the Application and Document interface of the opened MS Word document. The developers can add the following Key Code in the DocumentOpened event of the component. Then the developers can do the word automation without any difference. All the text formatting options available in the Word Application can also be replicated through automation. Dim logoPath As String = "C:\Document and Settings\MyLogo.jpg"
Including auto-generated page numbers in the Footer is yet another useful feature which can be simulated in the code. Dim docNumber As String = "1"
Dim revisionNumber As String = "0"
Dim oBookmarkTOC As Object = "Bookmark_TOC"
Dim oUpperHeadingLevel As Object = "1"
Dim oLowerHeadingLevel As Object = "3"
Dim oTOCTableID As Object = "TableOfContents"